Relocating to a new house is stressful enough without having to worry about the logistics of an entire move. So when it comes to the heavy-lifting (literally), leave it to the professionals — professional movers, that is. Experienced Poolesville, MD moving companies consist of expert movers and packers who can efficiently pack, move and assemble your Poolesville belongings to ensure that you get off to a good start in your new home! 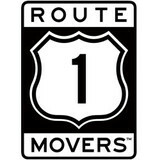 Route 1 Movers is a full-service moving company located in Woodbridge Virginia. We service the entire northern VA and southern MD areas. 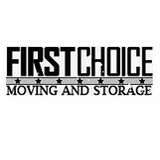 We offer stress-free moves with no hidden fees or surprises all with personal guidance and friendly approach. With 25 years of experience in the moving industry we have the expertise and the knowledge to assist you with smart move planning. Residential moving quotes are calculated according to Titan Moving & Storage’s federally-registered moving tariff. Your final estimate will reflect pricing based on a combination of services, mileage, regulatory cube-space. 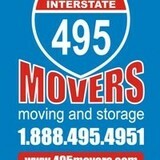 Not all movers are, but our movers are fully licensed and bonded to provide full-service cross country moving services. Renowned for our high quality of service, we will pack your household with care and deliver it quick..
We are an on-demand moving and delivery company revolutionizing the way both consumers and retailers ship furniture, exercise equipment and other bulky items across Baltimore and the DC metropolitan area. Our industry-first mobile app seamlessly connects a PockitShip user with a licensed, insured, and professional delivery driver. Now, with the ease of the app customers can arrange for just about anything to be picked-up and delivered quickly, efficiently, and economically. Piano moving company serving local and long distance clients. Affordable prices, safe, and efficient team members. Yes, we move more than just piano's. How can we serve you today? MVD Movers is a full service local moving company serving the Greater Washington DC Area. We also provide full packing services. Contact us for an A+ rated moving experience. We know that moving can be one of the most stressful times in your life. We make sure that you have one less thing to worry about. Your professional movers and packers in the Washington DC Area. Budget Moving and Storage are reliable movers, specializing in residential and commercial moving services. We offer affordable relocation services for local and long distance moves. Our professional and experienced sales and moving teams are available to answer all of your relocation questions and concerns. Budget Moving and Storage is comprised of skillfully trained customer service representatives as well as reliable movers. We have the knowledge to make your move a hassle-free one. Our reliable movers may assist you with packing and delivery of your valuables to ensure that your items are secure throughout the moving experience. Our dependable trucks and reliable movers assist us in making sure that your items arrive to their destination on time. Budget Moving and Storage offer exceptional rates. Call us today to discuss your relocation needs. ith nearly three decades of experience, Movers USA is one of the most respected and recommended moving company from Maryland to Virginia. It is our pride and pleasure to provide the busy Capital Region with topflight relocation and storage services – whether you’re moving to or from Baltimore, Washington or any of the cities and neighborhoods in our wide coverage area, you won’t find a more talented or dedicated company. Our growing list of satisfied customers will back that up. Start with an instant free estimate of our relocation and storage services, and then let us customize a plan that meets your specific needs. Movers USA will show you just how smoothly your family or organization can transition into its new home – whether it’s across town, across state lines or across the ocean! Any Assembly is a delivery service and product assembly company, established in Baltimore-Washington DC area in 2004 servicing Commercial Customers and General Public.We decided to start a business that could help the handicapped, single moms, and busy people that just don't have the time or experience to do this type of work. HaulPROZ specializes in Flat Rate Moving, Junk Removal & deliveries. Easily Book your flat rate haul today from your phone for scheduled or on demand service. New Age Move Management is a premier moving resource for Busy Professionals and Seniors! Smart Moving is a moving company located in Falls Church, VA that specializes in residential, commercial, and corporate moves throughout the area.